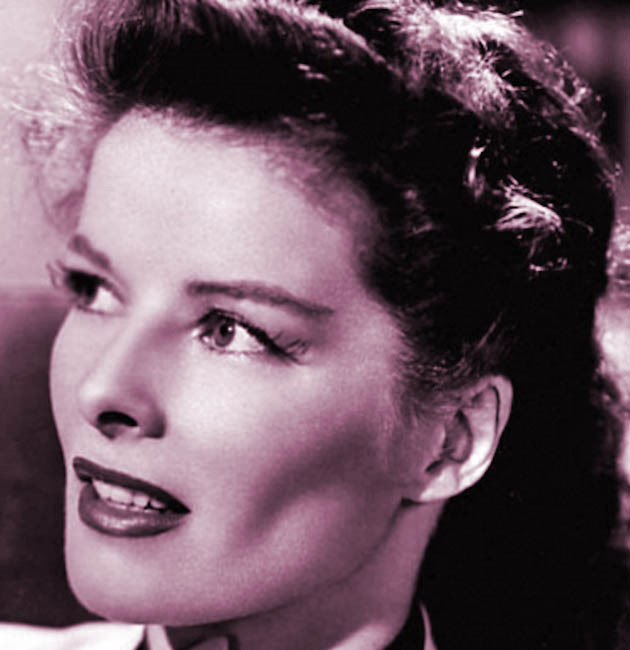 Katharine Hepburn movies: 'The Philadelphia Story' & 'Woman of the Year' were Hollywood career turning points. Four-time Best Actress Academy Award winner Katharine Hepburn is having her own private “Summer Under the Stars” day on Aug. 20. Although Turner Classic Movies will be presenting a number of her prestigious films – among them The Philadelphia Story, Woman of the Year, and Summertime – Hepburn Day doesn't quite make my pulse race. Of course, Hepburn could be an outstanding actress; the problem is that her RKO and MGM movies are always playing on TCM. So, Mr./Ms. TCM … In August 2011, what about a John Gilbert Day? Or a Ramon Novarro Day? Or a Catherine Deneuve Day? Or a Lizabeth Scott Day? Or a Nancy Carroll Day? Or a Sessue Hayakawa Day? Heck, I'd gladly accept a Polly Moran Day. George Cukor's The Philadelphia Story (1940) and George Stevens' Woman of the Year (1942) are seminal entries in the Katharine Hepburn movie canon. The former was adapted by Donald Ogden Stewart from Philip Barry's Broadway hit, also starring Hepburn. The latter was from an original screenplay co-written by Ring Lardner Jr. and Michael Kanin. 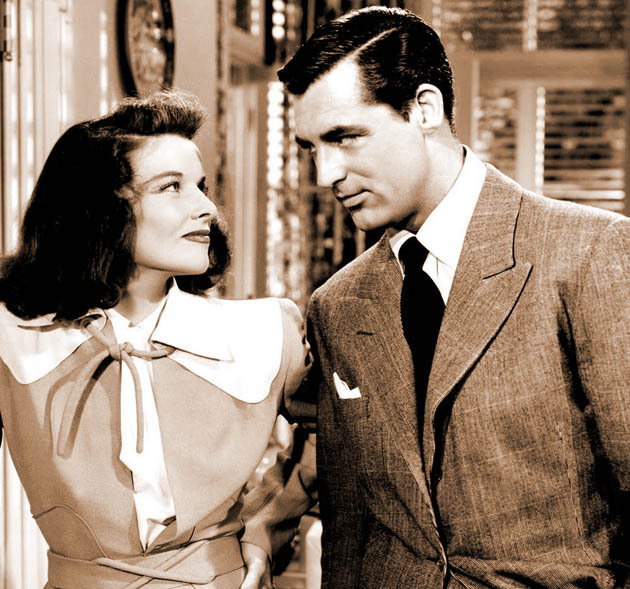 Now, why are The Philadelphia Story and Woman of the Year landmark movies? Well, The Philadelphia Story was Hepburn's first film away from RKO, her first film at Metro-Goldwyn-Mayer, and, most importantly, it was her first major box office hit after her Hollywood career hit the skids in the mid-to-late 1930s. It also marked the last time she co-starred with Cary Grant – following Sylvia Scarlett (1936), Holiday (1938), and Bringing Up Baby (1938). And last but not least, The Philadelphia Story earned Hepburn her third Best Actress Oscar nomination and her one and only New York Film Critics Circle Best Actress Award. Woman of the Year, for its part, was the third and final Hepburn film directed by George Stevens – following Alice Adams (1935) and Quality Street (1937). 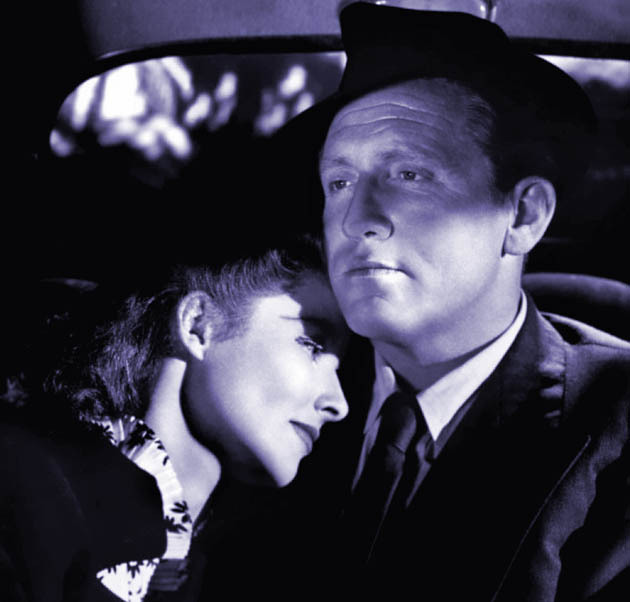 More importantly, it marked the beginning of the Katharine Hepburn-Spencer Tracy collaboration, which encompassed nine movies over the course of a quarter of a century. Indeed, some find the Hepburn-Tracy duo the greatest movie pairing this side of Lauren Bacall and Humphrey Bogart, and that side of Judy Garland and Mickey Rooney. Which says a lot. Anyhow, for her efforts as a career-oriented woman who learns what True Womanhood is all about, Hepburn received her fourth Best Actress Oscar nomination. For the record: Katharine Hepburn lost the 1940 Best Actress Oscar to fellow 1930s RKO'er Ginger Rogers in Sam Wood's Kitty Foyle, co-starring Dennis Morgan. And she lost the 1942 Oscar to fellow MGM'er Greer Garson in William Wyler's blockbuster Mrs. Miniver, also featuring Walter Pidgeon and Teresa Wright. Also for the record: Donald Ogden Stewart and Hepburn-Grant co-star James Stewart won Academy Awards for The Philadelphia Story. Stewart #1 won in the Best Screenplay category. Stewart #2 was the surprise Best Actor winner. Ring Lardner Jr. and Michael Kanin shared the 1942 Best Original Screenplay Oscar for Woman of the Year. I should add that all three Oscar-winning screenwriters – Donald Ogden Stewart, Ring Lardner Jr., and Michael Kanin – would be blacklisted during the Red Scare. One of the Hollywood Ten, Ring Lardner Jr. would come back in the mid-'60s with the Steve McQueen-Edward G. Robinson drama The Cincinnati Kid (1965). Lardner Jr. would win a second Oscar – this time in the Best Adapted Screenplay category – for the Robert Altman-directed, anti-military satire MASH (1970). Among the 11 Katharine Hepburn star vehicles being shown on Turner Classic Movies, my favorite is Howard Hawks' 1938 screwball comedy Bringing Up Baby, co-starring Cary Grant. I'm just not sure how funny a movie can be after 18 viewings. Admittedly, I've only seen Bringing Up Baby twice. Avid TCM'ers, however, have probably watched this one at least one or two dozen times. It seems to be on every week. A less famous – but also frequently shown – Katharine Hepburn movie I'd recommend is the fairy-tale-ish, George Stevens-directed Quality Street (1937). Some care neither for the film nor for Hepburn's performance. I find both, for lack of a better word, charming. Katharine Hepburn: Four-time Best Actress Oscar winner in five-decade film career. Elia Kazan's heavy-handed The Sea of Grass (1947) and John Cromwell's clunky Spitfire (1934) are only for die-hard Katharine Hepburn fans. But both Dorothy Arzner's Christopher Strong (1933) and George Cukor's Keeper of the Flame (1942), however flawed, are definitely worth a look. It's unclear whether or not Dorothy Arzner being a lesbian influenced her gender-bending take on Christopher Strong. Either way, it's inescapably there. That in itself adds some welcome complexity to the tale of an aviatrix who falls for a married man: Dr. Frankenstein himself, Colin Clive. In Keeper of the Flame, we get melodrama mixed with politics, as Hepburn, in the title role, ultimately realizes that Democracy (capital “D”) cannot exist without sociopolitical transparency. I don't think anyone would argue against that – except, that is, those holding positions of power. Yet, partly thanks to George Cukor's old-school direction, Keeper of the Flame's anti-fascist stance is dishearteningly tame. Especially so when compared to something like Orson Welles' Citizen Kane, released the year before. More than a decade after Keeper of the Flame, Katharine Hepburn shone in Summertime (1955), which earned the actress and director David Lean Academy Award nominations. Veteran Isa Miranda, whose 1934 classic Everybody's Woman / La signora di tutti reportedly inspired elements found in Citizen Kane, should have received a supporting nod as well. In his autobiography, playwright/screenwriter Arthur Laurents (West Side Story, Gypsy) complains that Summertime, the film version of his 1952 Broadway play The Time of the Cuckoo, diluted the effectiveness of the story. 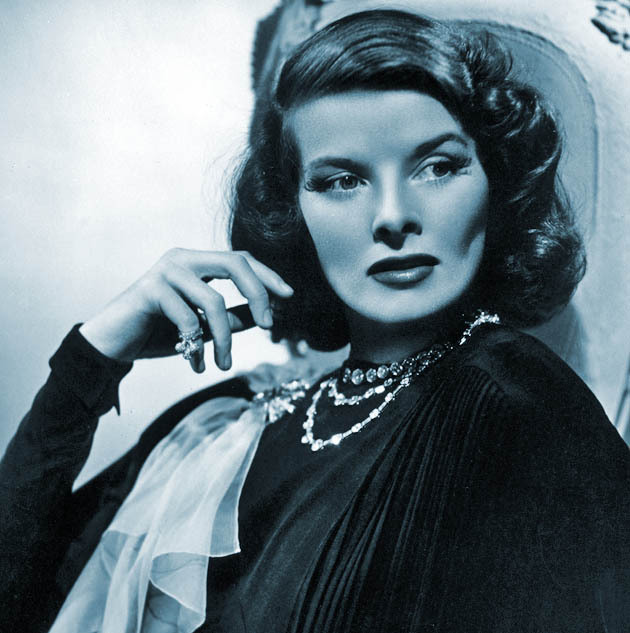 According to Laurents, a key issue was the casting of sleek Katharine Hepburn (instead of dowdy Shirley Booth) as “Jane Hudson” (instead of “Leona Samish”). He goes on to explain the importance of a character's name for the audience's perception of said character. That's all fine, but I'm glad the blatantly obvious Leona became the more generic Jane – who could be any lonely, middle-aged woman, American or otherwise. That way, you can see in the character what the actor conveys; not what the playwright wants to shove down your throat. I'm also glad that Hepburn got the chance to work wonders with the role. Italian heartthrob Rossano Brazzi plays Jane's love interest in Summertime. Dino Diluca was Leona's near-paramour onstage. Wrapping this up, TCM will also be showing David Heeley's 1993 documentary Katharine Hepburn: All About Me. Hepburn's tell-all-but-nothing autobiography is called Me: Stories of My Life. It was published in 1991. More Katharine Hepburn movies on TCM. Movie Business & Romance Intersect: Katharine Hepburn, 'The Philadelphia Story' & Howard Hughes. Katharine Hepburn and Bob Hope in The Iron Petticoat: TCM premiere. Meryl Streep matches Katharine Hepburn Oscar record. Katharine Hepburn movie star stamps. Katharine Hepburn in 'The Philadelphia Story,' with Cary Grant: Film career landmark revived Hepburn's moribund Hollywood stardom. 3:00 AM Spitfire (1934). Cast: Katharine Hepburn. Robert Young. Ralph Bellamy. Dir. : John Cromwell. B&W. 87 min. 4:30 AM Christopher Strong (1933). Cast: Katharine Hepburn. Colin Clive. Billie Burke. Helen Chandler. Ralph Forbes. Irene Browne. Jack La Rue. Desmond Roberts. Agostino Borgato. Margaret Lindsay. Donald Stuart. Paul Ralli. Gwendolyn Logan. Dir. : Dorothy Arzner. B&W. 78 min. 6:00 AM Katharine Hepburn: All About Me (1993). Dir. : David Heeley. Color. 70 min. 7:15 AM Mary of Scotland (1936). Cast: Katharine Hepburn. Fredric March. Florence Eldridge. Dir. : John Ford. B&W. 124 min. 9:30 AM Quality Street (1937). Cast: Katharine Hepburn. Franchot Tone. Fay Bainter. Cora Witherspoon. Joan Fontaine. Dir. : George Stevens. B&W. 83 min. 11:00 AM Undercurrent (1946). Cast: Katharine Hepburn. Robert Taylor. Robert Mitchum. Dir. : Vincente Minnelli. B&W. 116 min. 1:00 PM The Sea of Grass (1947). Cast: Katharine Hepburn. Spencer Tracy. Melvyn Douglas. Dir. : Elia Kazan. B&W. 124 min. 3:15 PM Keeper of the Flame (1942). Cast: Katharine Hepburn. Spencer Tracy. Margaret Wycherly. Dir. : George Cukor. B&W. 101 min. 5:00 PM Woman of the Year (1942). Cast: Katharine Hepburn. Spencer Tracy. Fay Bainter. Dir. : George Stevens. B&W. 114 min. 7:00 PM Without Love (1945). Cast: Spencer Tracy. Katharine Hepburn. Lucille Ball. Dir. : Harold S. Bucquet. B&W. 111 min. 9:00 PM Bringing Up Baby (1938). Cast: Katharine Hepburn. Cary Grant. Charles Ruggles. May Robson. Dir. : Howard Hawks. B&W. 102 min. 11:00 PM The Philadelphia Story (1940). Cast: Katharine Hepburn. Cary Grant. James Stewart. Ruth Hussey. John Howard. Roland Young. John Halliday. Mary Nash. Virginia Weidler. Henry Daniell. Lionel Pape. Rex Evans. Hillary Brooke. King Baggot. Rita Chevret. Claude King. Lee Phelps. Florine McKinney. Joseph Sweeney. Dir. : George Cukor. B&W. 112 min. 1:00 AM Summertime (1955). Cast: Katharine Hepburn. Rossano Brazzi. Isa Miranda. Darren McGavin. Mari Aldon. Jane Rose. MacDonald Parke. Jeremy Spenser. Gaetano Autiero. Virginia Simeon. André Morell. Dir. : David Lean. Color. 100 min. Woman of the Year co-writer Michael Kanin was the brother of sometime Katharine Hepburn collaborator Garson Kanin. With wife Ruth Gordon, Garson Kanin wrote the Hepburn-Tracy star vehicles Adam's Rib (1949) and Pat and Mike (1952). Katharine Hepburn's first two Best Actress Academy Award nominations were for Lowell Sherman's Morning Glory (1932-33) and George Stevens' Alice Adams (1935). She won for the former. The second time around she lost to Bette Davis in Dangerous. Hepburn's three other Best Actress Oscar wins were for Stanley Kramer's Guess Who's Coming to Dinner (1967), Anthony Harvey's The Lion in Winter (1968, tied with Barbra Streisand in William Wyler's Funny Girl), and Mark Rydell's On Golden Pond (1981). George Stevens' Woman of the Year (1942). George Cukor's Keeper of the Flame (1942). Harold S. Bucquet's Without Love (1945). Elia Kazan's The Sea of Grass (1947). Frank Capra's State of the Union (1948). George Cukor's Adam's Rib (1949). George Cukor's Pat and Mike (1952). Walter Lang's Desk Set (1957). Besides Woman of the Year, Turner Classic Movies will be showing three other Hepburn-Tracy titles: Keeper of the Flame, Without Love, and The Sea of Grass, all of which were MGM productions. Of the above, the only non-MGM releases were Desk Set (20th Century Fox) and Guess Who's Coming to Dinner (Columbia). For several decades, the Academy Awards had three Best Writing categories. Category labels changed throughout the years; in 1940, they were Best Original Story, Best Original Screenplay, and Best Screenplay. The 1940 winners were, respectively, Benjamin Glazer and Hans Székely for Arise My Love (1940), Preston Sturges for The Great McGinty, and, as mentioned earlier in the text, Donald Ogden Stewart for The Philadelphia Story. Katharine Hepburn movies' cast information via the IMDb. Katharine Hepburn movies' schedule via the Turner Classic Movies website. Cary Grant and Katharine Hepburn The Philadelphia Story image: Metro-Goldwyn-Mayer. Spencer Tracy and Katharine Hepburn Woman of the Year image: MGM.